It’s the perfect time of year to make the most of your outdoor living space. As the leaves continue to turn shades of crimson and gold, many homeowners are utilizing their outdoor living area to bask in the cooler autumn days. Which got us thinking about how homeowners can make the most of the space – whether it’s to attract the attention of interested buyers, or simply to upgrade and enjoy a great part of your home. 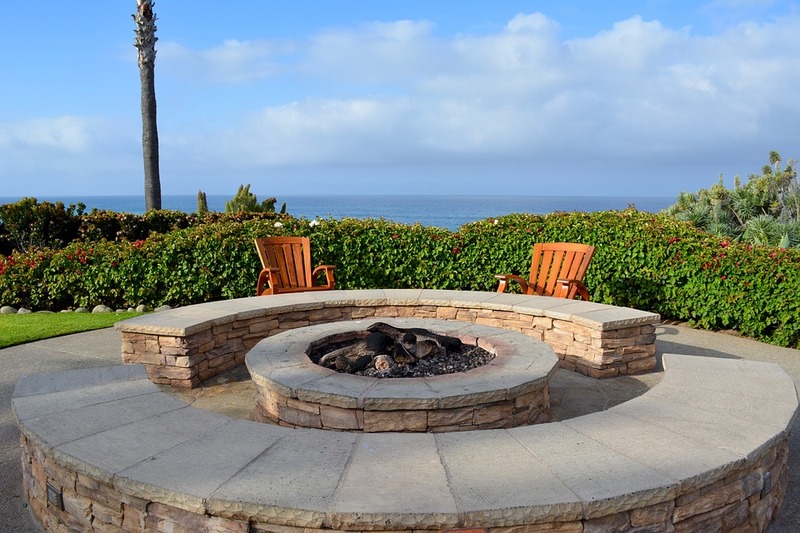 Here are 3 Top Ways to Revitalize Your Outdoor Setting. We mentioned the lure of autumn bringing homeowners out-of-doors, and a fireplace or pit is the perfect way to make the most of this cooler time of year! It’s great for adding an element of style, as well as functionality. You can roast marshmellows for ‘smores, get a head start on burning leaves in your own fireplace, or cozy up in front of the flames on a chilly evening with a mug of hot cocoa. Just be sure to check your local building codes and verify fire-safety and placement rules. Your outdoor living space can be a getaway, one where you feel secluded and cocooned from the world. One way to achieve this goal is to add a path with a gentle curve in the design to encourage discovery and exploration in the garden or back yard. Plants and rich or vibrantly colored furnishing will enhance this dynamic retreat! When in doubt, spend wisely as opposed to spending more. Add accent walls or adorn signs and decorative hangings to spruce up the area. Invest in new pillows and umbrellas when the old ones show wear and tear. Refresh your slipcovers and add decorative vases and containers on tables for unique centerpieces. Little changes can go a long way! There are hundreds of ways to reinvigorate your outdoor setting. Allow yourself to be creative, and look at the space through the eyes of a buyer.